For 11 years, he moved about migrant worker dormitories, sometimes living in cramped, hot and unhygienic rooms. Cooking was not often not an option at those places because no proper space was allocated. But mechanic Voo Wei Chung's life as a migrant worker here improved last month when his company rented flats at a new dormitory at Mandai Estate. Westlite Mandai, which comprises three 12-storey buildings that house some 6,300 workers, has a wide array of facilities and services including a 24-hour supermarket. The Government had said last year that a substantial number of dormitories will be built over the next two to three years to provide migrant workers with better accommodation. Most foreign worker dormitories are temporary, requiring land lease renewals every one to three years. But Westlite Mandai, which was fully completed last October, is one of the rare few to be built on freehold land, said Mr Ho Lip Chin, director of investment at Centurion, which built and manages the 396-unit dormitory. Each one-bedroom flat houses up to 16 workers, and has a kitchen, two shower and two toilet cubicles. Every flat is also SingTel mio TV-ready. The monthly rent is about $280 to $300 for each worker. Residents can head down to the sports compound after a hard day's work for a game of football or cricket, or keep their fitness levels up at the gym. 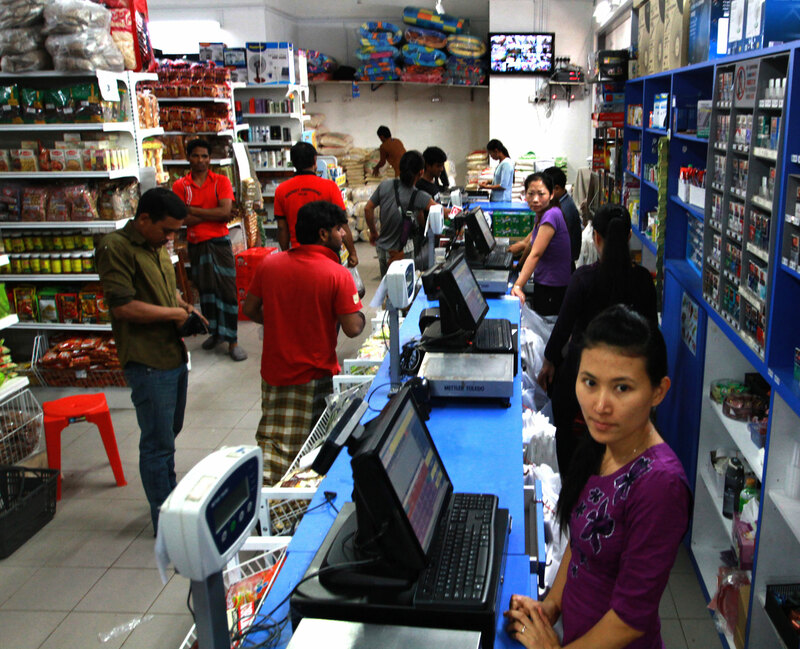 The small supermarket is well stocked with a wide variety of fresh produce and dry goods. For Mr Voo, who is from Sabah, Malaysia, living at Westlite Mandai is a step up. The 29-year-old, who works at Sentosa, said: "It's a very big difference from the others dorms that I previously lived in. "There are many games and activities that I can take part in during the weekend. "But more importantly, I don't have to queue to use a common shower and can cook my meals every day. It's a place that I can finally call home." But the dormitory, glamorous by migrant worker standards, is more than just about giving residents the best facilities, said Mr Ho. Westlite Mandai is a 396-unit dormitory compound, which comprises three 12-storey buildings that house some 6,300 workers. Each one-bedroom flat houses up to 16 workers, and has a kitchen, two shower and two toilet cubicles, and is also SingTel mio TV-ready. 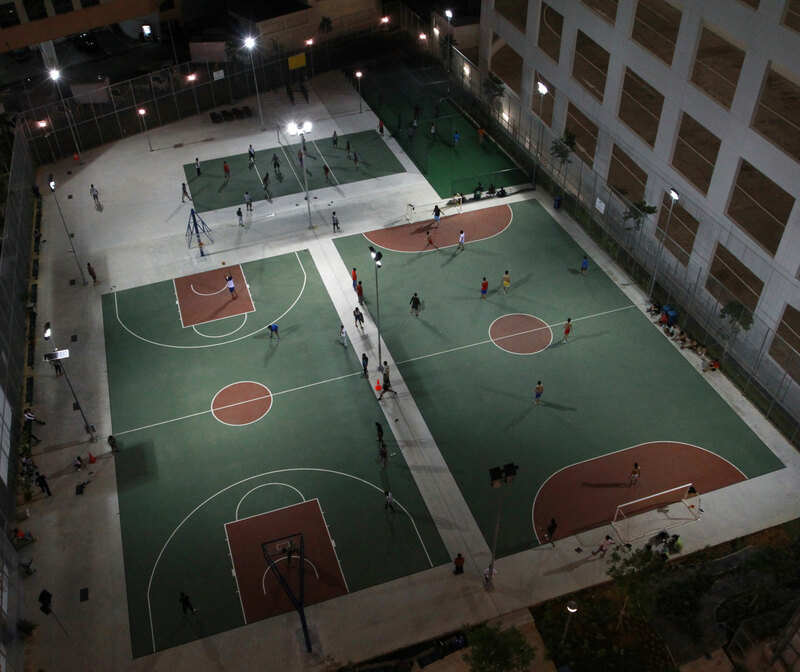 The dorm has a wide array of sports facilities such as the sports compound where workers can play a game of football or cricket after a hard day's work. 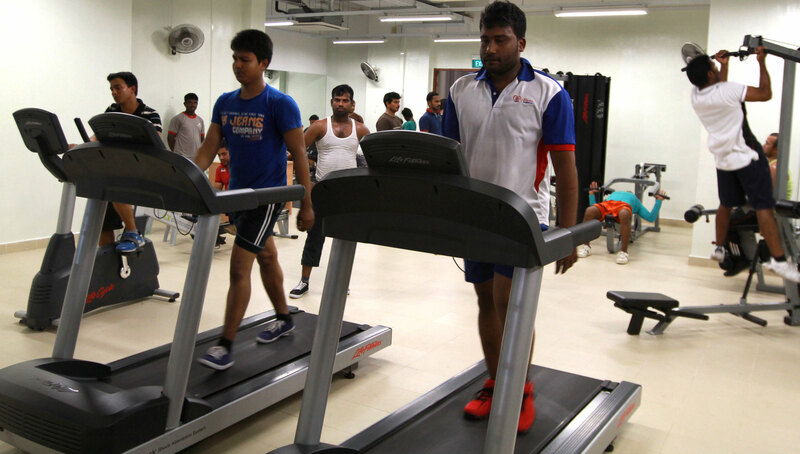 Residents can keep their fitness levels up at the gym. A 24-hour supermarket which is well stocked with a wide variety of fresh produce and dry goods is also present in the dormitory.